Supplying professional grade products for industrial and commercial applications. OP Professional is the industrial and commercial arm of OP Products, Inc, a well-established manufacturer of high quality bacterial-enzyme cleaning and maintenance solutions. For over 12 years OP Products has specialized in supplying wholesale and retail customers with innovative biological solutions that replace harsh or harmful chemicals in applications ranging from wastewater treatment to stain and odor removal. As our business and product lines continually expand, so does our capability to serve a more diverse customer base. OP Products Professional is dedicated to providing our customers with products that are based on technologies designed to reduce or eliminate the use of chemicals and non-renewable resources. We believe we can offer our customers exceptional performance and competitive pricing. Please feel free to contact us if you have any questions or need additional information. Use the exclusive blend of powerful non-ionic surfactants and other cleaning agents in Pro Power to safely and thoroughly clean any surface. 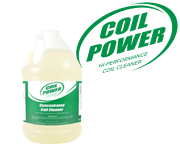 Use the exclusive blend of powerful non-ionic surfactants and other cleaning agents in Coil Power to safely and thoroughly clean evaporator coils, condenser coils and other finned heating and cooling units. 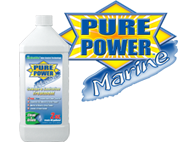 With BioBlastPlus odor control technology, Pure Power Marine is the most advanced sanitation treatment available on the market today. This biological formulation is recommended for use in all marine sanitation and sewage treatment systems. 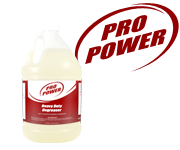 Micro Power is a specially formulated mixture of bacteria, enzymes and cleaners that is designed to clean and deodorize, while at the same time enhancing bacterial activity in holding tanks, septic systems and their related piping. Patented technology designed to break down Hydrogen Sulfide and other organo-sulfur compounds. This safe and biodegradable formula will completely breakdown sulfur compounds in air, water and/or hydrocarbon mixtures. Detects leaks in anything that can be tested with air or gas pressure. Just daub on and look for bubbles. Lined cap and stainless steel applicator prevent rust and sediment build-up. 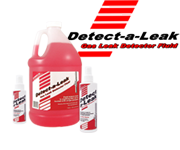 Instantly finds gas and air pressure leaks with a non-corrosive formula. © 2012 OP Products, Inc.